If you have acne-prone skin or have pimple breakouts due to several reasons like stress, lack of sleep, poor nutrition, and after trying a new skin care regimen, you can take advantage of a triple treat offer from SkinStation that’s specially made for your skin condition. 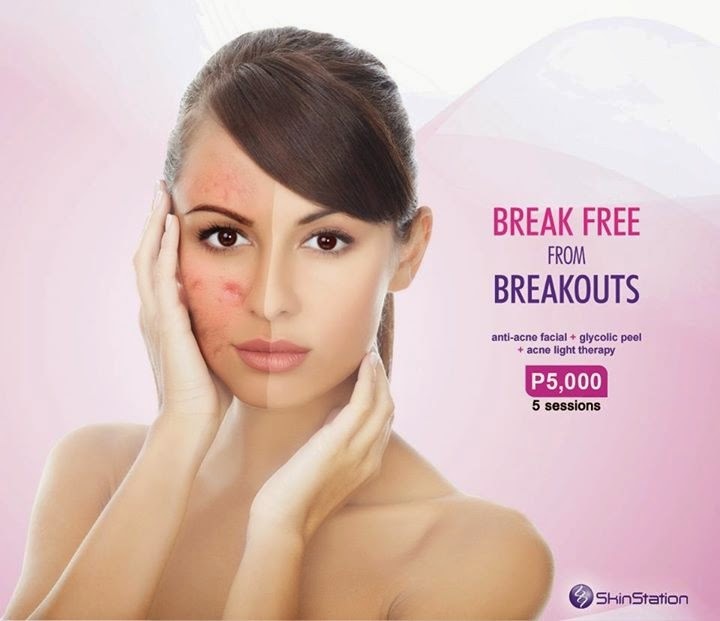 For Php 1,700, you can avail of an anti-acne facial with glycolic peel and acne light therapy. You may also purchase a package of Php 5,000 for 5 sessions. The latter is only available during specific promo periods though but can still be available if you are an Elite Club member (costs Php 1,000 to join). Cleanse. Your skin therapist will gently cleanse your face with water and cleansing agents. Steam. Tolerable steam heat is directed towards the face for up to 10 minutes or more. This helps loosen the whiteheads and blackheads that will be removed during the next step. Steam time maybe longer depending on how deep the impurities to be removed are. Comedone Extraction. This is the part where whiteheads, blackheads, and dry pimples are removed. If you haven’t had any facial for an extended period of time, the impurities will be more difficult to pluck out as they have already embedded deep in the skin. Hence, it will be best to undergo a similar treatment at least once a month for maintenance. After the anti-acne facial, you are also advised to undergo a free followup treatment after 4 days to check if there are any more breakouts. Glycolic Acid Application. This causes mild peeling that promotes lightening and reduction of fine lines and mild scarring. It also helps prevent acne breakouts and reduces fine lines. Mask Application. The mask consists of Hyaluronic Acid or Hyal-C which also helps against acne and aging. AcneLight Therapy. The blue and red light combined is for antibacterial and anti-inflammatory action that lasts for 15 minutes. During the treatment, keep your eyes closed. You will still initially experience minimal blurred vision after the process though. This treatment is recommended for acne prone skin with an ideal session for 2-3 times per week for the first 3 months, gradually reducing the frequency as your skin improves. Antibiotic Cream. The entire treatment is culminated by the application of an antibiotic cream which will be left overnight. 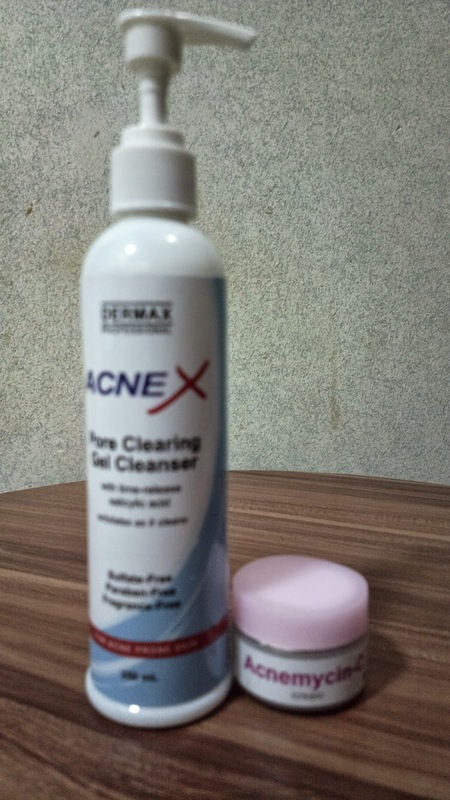 So if you are suffering from mild to moderate acne or even worse, this triple treatment combination will be great for your skin. Find SkinStation on Facebook or their website or visit any branches for more details about this service. Hi! If they reccomend you to go for 2-3 a week for the that means your P5000 will be incurred for almost 2 weeks? ☺ and the maintenance creams/toner how much does it cost? Thank you! You should ask them about certain promos and packages you can avail of to save on cost. If you are a member, you can avail even of expired promos. The other product's prices may range from 200 to over 1000 pesos depending on size and product type. Hi, im interested to put my son into the same treatment... although im curious of its effectivity. How did it work for you? I suggest you visit an actual SkinStation branch and let your son speak with the resident dermatologist for recommendations based on his skin type and condition. There is a tendency for relapse or for the issue to worsen in case you abruptly stop the treatments. But there is definitely improvement though regardless of how many or how little you avail of. How many months will it take for the dark spots and pimples to fade after doing the acne lightblue therapy? I suggest you consult a specialist. I believe the results will vary depending on the skin condition. Baka hindi ito ang bagay na treatment para sayo. Try consulting a dermatologist (sa mga ospital) para sa mas applicable na treatment for you depende sa skin condition/type mo and other factors. Hi!! 5000Php per session? or 5000 na yung whole 5 sessions?